Sum 41 singer Deryck Whibley has surprised fans with some alarming photos and a new candid blog entry titled "Rock Bottom." In the post, Avril Lavigne's ex-husband opens up about his battle with alcoholism, writing, "sorry i've been so m.i.a. lately, but i've been very sick in the hospital for a month and was pretty sick for a few weeks leading up to my trip to the hospital. the reason i got so sick is from all the hard boozing i've been doing over the years. it finally caught up to me." He continued: "i was drinking hard every day. until one night. i was sitting at home, poured myself another drink around mid night and was about to watch a movie when all of a sudden i didn't feel so good. i then collapsed to the ground unconscious." The 34-year-old Canadian rocker revealed how his fiancee, Jocelyn Aguilar, rushed him to the hospital where he immediately entered the intensive care unit: "i was stuck with needles and i.v. 's all over. i was completely sedated the FIRST WEEK. when i finally woke up the next day i had no idea where i was. my mum and step dad were standing over me. i was so freaked out. my liver and kidney's collapsed on me. needless to say it scared me straight." Whibley said he finally realized he can't drink anymore, explaining, "if i have one drink the doc's say i will die." 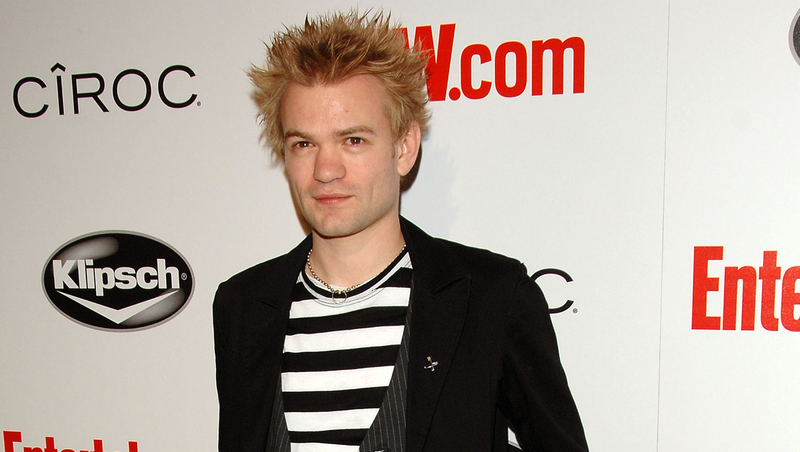 Now on the up and up, Whibley says he hopes to start on a new album and return to touring. The most recent Sum 41 album, "Screaming Bloody Murder," came out in 2011. Whibley was spotted out in Los Angeles Monday with his fiancee and another woman. See the photo here.